Brocken 6 A (2017) was inspired by a natural light phenomenon: the mysterious Brocken spectre. The ‘ghost’ consists of a shadow of you that has been projected on a cloud of fog and surrounded by a luminous wreath in rainbow colours. The phenomenon occurs when the sun is positioned directly behind you, thereby breaking and scattering the light rays. 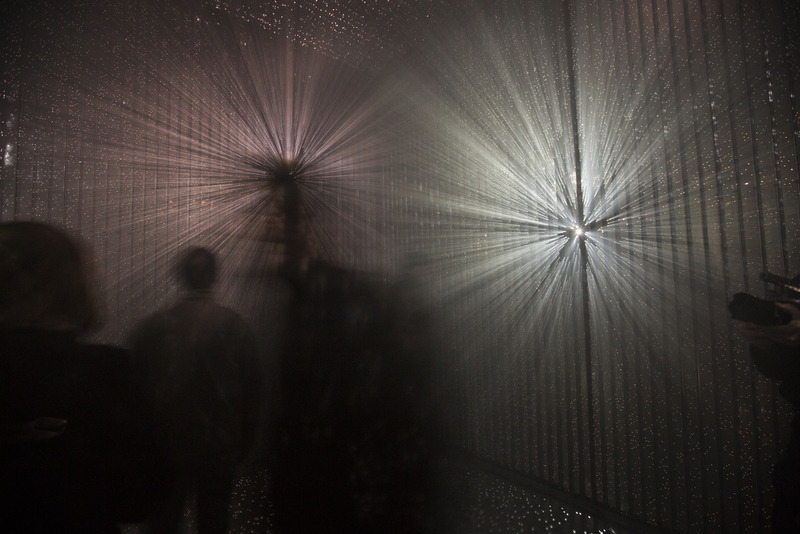 Chida recreates this phenomenon – which was named after a mountain in northern Germany where this phenomenon was often observed – in a large metal box in which he punctured thousands of holes by hand. Concentrated bundles of artificial light penetrate the dark space and present your own Brocken spectre. 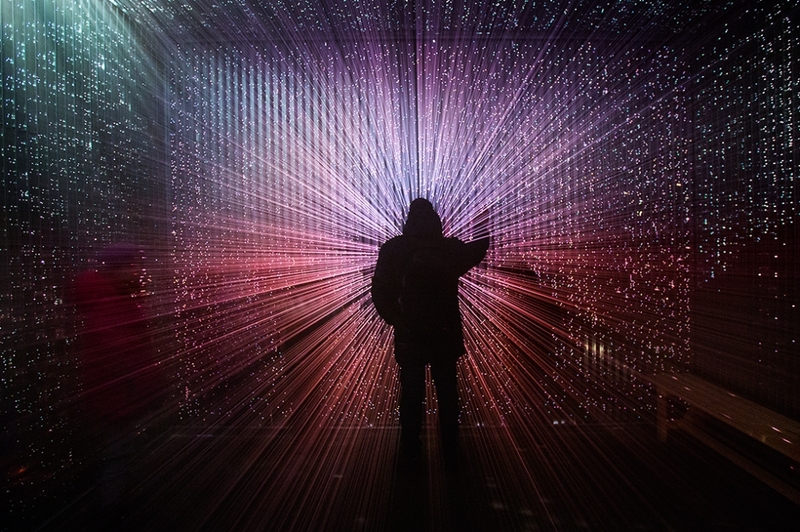 By immersing yourself in darkness, Chida wants you to experience light as something tangible. While we become increasingly dependent on visual impressions in our modern world, touch is still the most primitive and direct way we can get to know and understand the world around us. After studying architecture in Tokyo, Japanese artist Yasuhiro Chida (1977) went on to create large installations in the public space and natural landscapes – some of his works have been exhibited in Europe from 2015 onwards. The most important themes in Chida’s work are our sensory perceptions of our environment and the way we react to changes within it. Chida finds inspiration in nature where he spends a lot of time, for example, climbing mountains and descending into caves. He often incorporates effects of natural light in his work, like a moving ray of sunshine entering a dark space, or moonlight that illuminates a string of nylon string strung among trees.